Similar to bamboo in appearance. Will tolerate full sun as an adult. 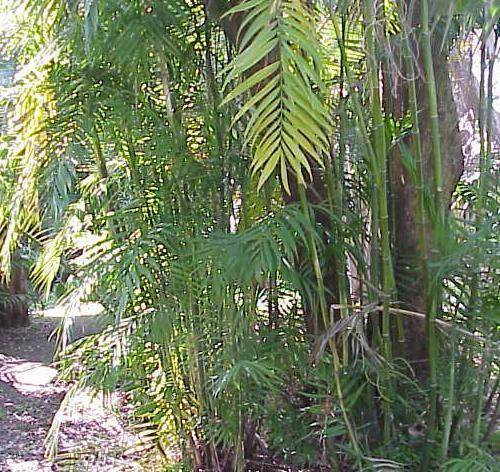 The most cold tolerant of the bamboo Chamaedoreas.